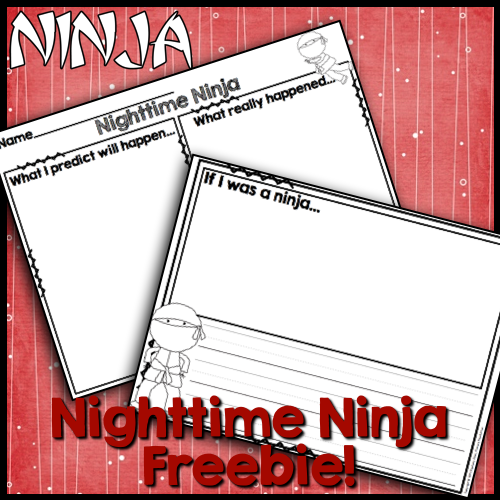 Primary Possibilities: Tons of Fun with Nighttime Ninja! 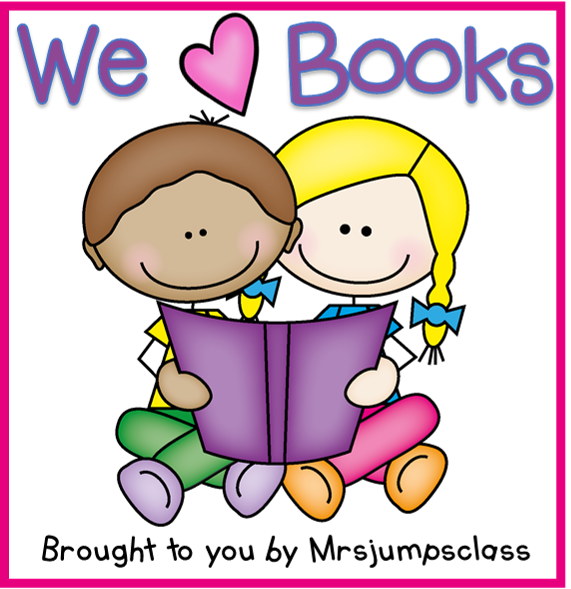 I am linking up with Deanna over at Mrs. Jump's Class for her "We Love Books" linky! I love grabbing up new books so I can't wait to see all of the great books everyone blogs about! 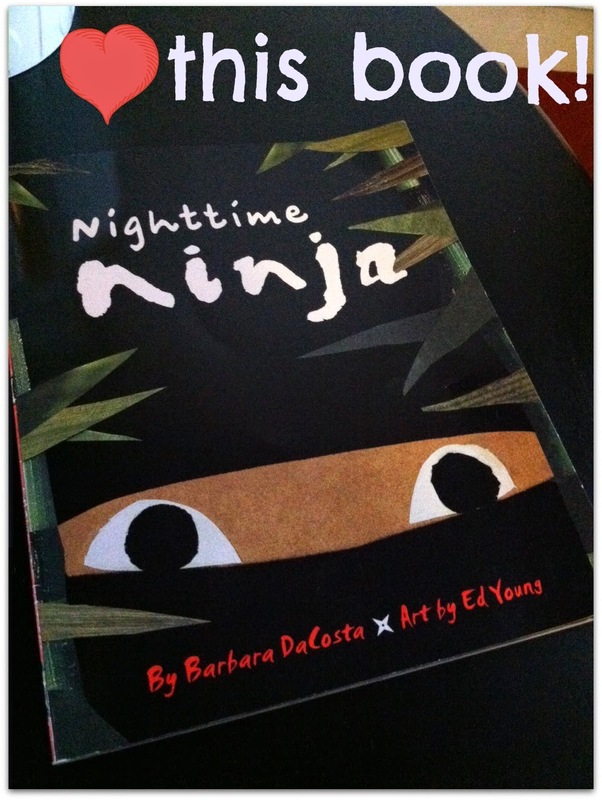 The book I chose is Nighttime Ninja written by Barabara DeCosta and illustrated by Ed Young. When I took my students through the Spring Scholastic book fair all of the boys were dying to get their hands on this book. 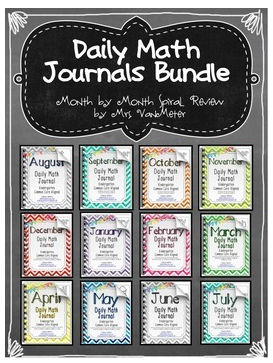 I decided that was a pretty good indication that I should snag it for my own classroom so I did! The illustrations are so unique and different... made out of fabric, paper, string, and colored pencil. This story is about a "ninja" who is actually a little boy sneaking through his house at night while everyone else is asleep and the house is dark. Who didn't do that when they were a little kid? This is a great book for teaching predictions. Students could predict throughout the whole book... from the front cover until the very end when the little boy's mother flips on the light and catches him digging into a pint of ice cream! 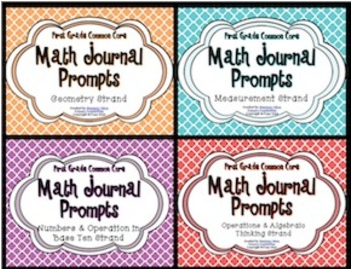 Here's a little freebie prediction printable to go along with the book and a writing page. Click on the image below to go grab it up! Here is a cute little "Sushi" snack to go with the book! You know... because all ninjas must eat sushi. Of course, it isn't "real" sushi because most primary kiddos would think you were torturing them if you made them eat real sushi! (I've never eaten it either!) All you need is some peanut butter, jelly, and bread to make your own "sushi." First, cut off the edges because edges are gross. I know, I know the crust is where the nutrition is but you need to cut them off so the "sushi" is easier to roll up. Plus if you make it at home, your dogs will watch you like this until you give them some crust. Once you cut it off, "smash" your bread down. I used the meat tenderizer that I have owned for years but have only used maybe 3 times. It would make an excellent self-defense tool though so I keep it around :). Now I realize it makes an excellent bread smasher! 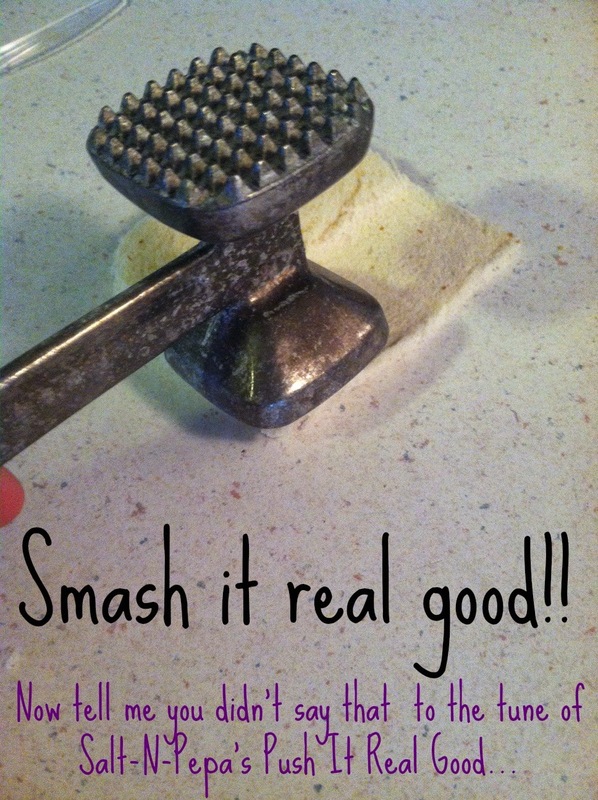 You know that your kiddos at school would love to smash their bread with their own hands! Just spread on the PB&J, then roll it up nice and tight. 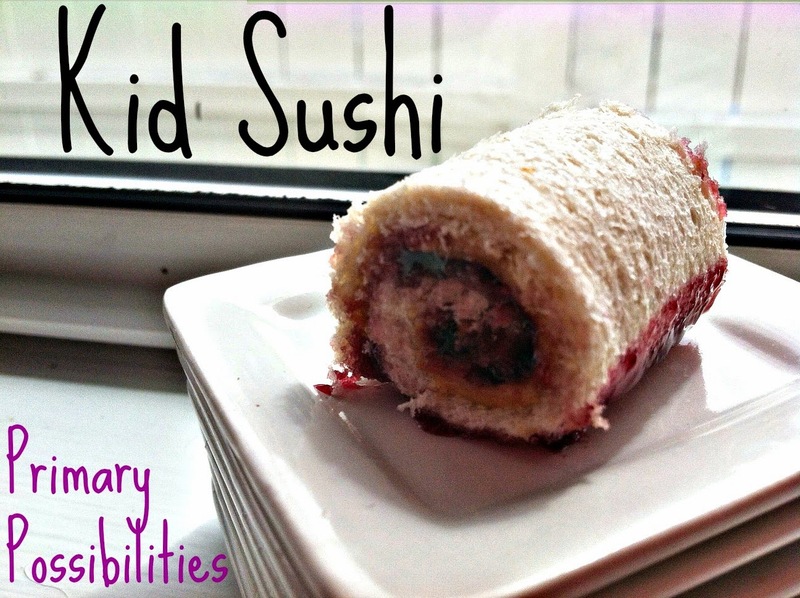 Cut it into three small pieces and you have some PB&J sushi! 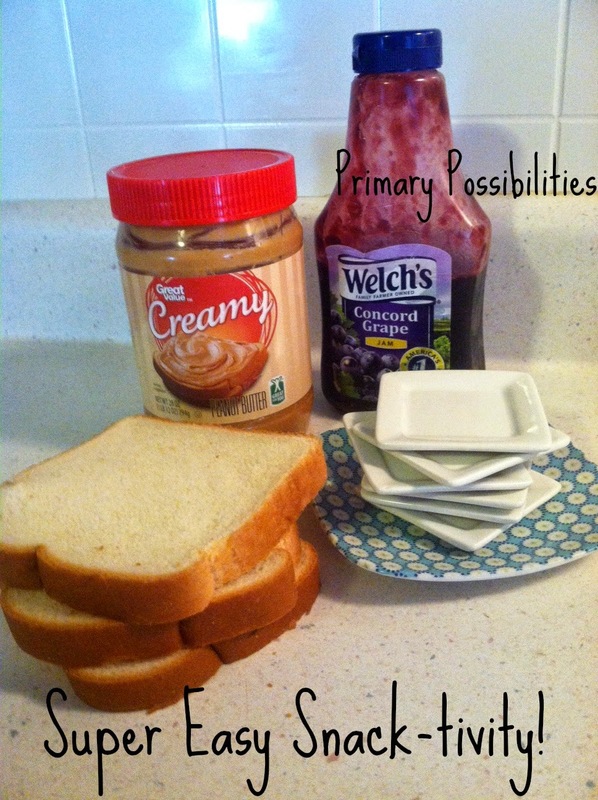 This would be a super easy and fun snack-tivity for your kiddos! Nothing better than reading your primary kiddos a book about raiding the fridge at night, filling them with PB&J and then sending them on home! Parents will love you... well the kids will at least! Go check out Greg's Tasty Treat Tuesday to get some other great treat ideas! 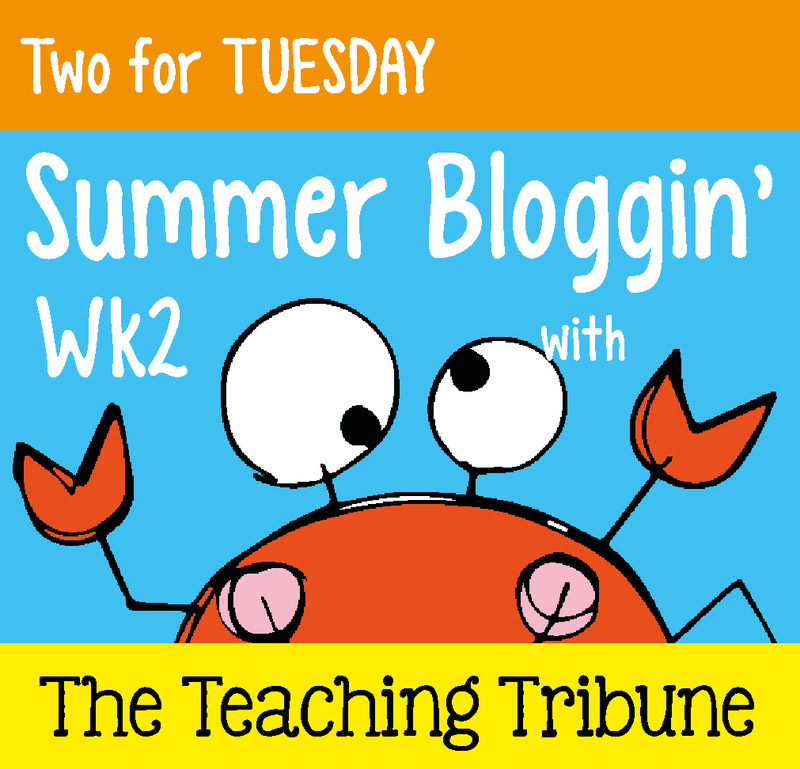 We are also linking up with The Teaching Tribune for Two for Tuesday. Two of our products will be half off all day Tuesday June 10, 2014! Click on the images below to head on over and grab them up! Make sure you follow us on Bloglovin' for more tips, tricks, snacks, and whatever else we come up with this summer! 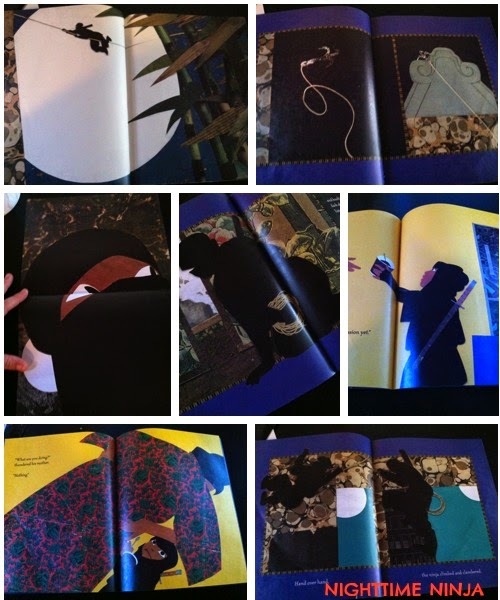 My second graders LOVE Nighttime Ninja, and my copy is signed in gold pen on the black end pages by the illustrator Ed Young! I attended a conference where he presented last summer! What a gracious, grandfatherly, soft-spoken man! The PB & J sushi is "genius," and thanks so much for the freebie! Make sure you check out the new Move Like A Ninja brain break on Go Noodle! It is great fun! Haven't seen this book - looks like a fun one and Thanks for the snack idea and the freebie. Loved your step by step description - made me laugh. Although I no longer teach, I can totally visualize my little second grade boys' excitement over this book! But, I do have an 8-year-old grandson that will love it! Thanks for the heads up and the super cute snack idea! This post made me smile! My dog looks just like that when I have food! I'll have to check out this book! Thanks! My kiddos loved that book too! It was the must have at the book fair. 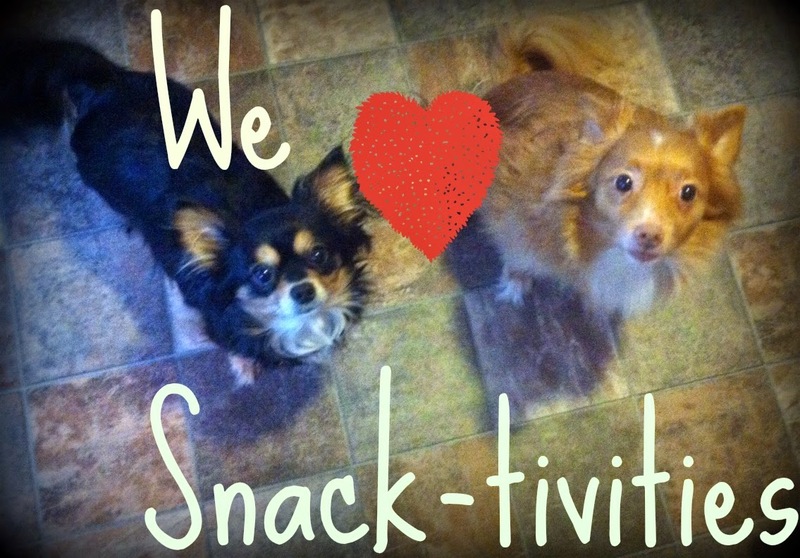 They will love that snacktivity to go with it next year! Thanks for the idea and the cute writing pages! I saw this at our spring book fair too. I got it, because like you, my kids where all over it. I have not had a chance to look through the book. After seeing this post, I am so glad I did!